Bypass the pitfalls and dead ends of trying to go it alone. Make it China is assembling an exclusive delegation to Shenzhen, Guangdong Province, and Changsha and Xiangtan, Hunan Province. The tour offers excellent and unique opportunities for sourcing, networking, market insights, one-to-ones and more. Throughout 2018 Make it China (MIC) will lead a delegation of companies to China, visiting Shenzhen and Changsha, two of China’s most dynamic industrial centres. This delegation is aimed at companies and individuals looking to source from, or invest in China and will help companies make the right in-country connections to solve your sourcing and investment problems. ​MIC will use our local knowledge and contacts to arrange a personalised visit schedule for each participating company and introduce delegates to carefully selected local partners that fit your individual requirements. As an official overseas partner agency of the Shenzhen and Changsha governments, with a track record of helping Western companies make the correct sourcing and investment decisions in China, MIC is in a perfect position to guide you through this process and help you avoid the common pitfalls and dead ends you might encounter doing business in China. Whether making your first steps in China, or looking for a change of strategy, MIC is ready to be your guide, and our 2018 Trade Tour is the best way to gain the knowledge, experience and contacts you need! WHO: MIC’s senior team, advisors and assistants in China....and you! 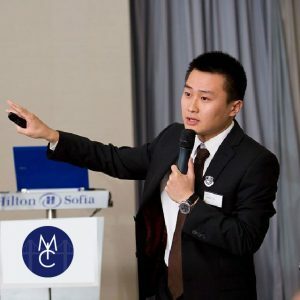 Dennis is a Chinese native from Hunan province with 10+ years experience in consultancy and sales for international manufacturers and heavyweight Chinese brands. His work has taken him all over the world, with a particular focus on trade between Europe and China. Dennis founded Make it China in 2016 in Bristol, England, and has built a strong team to support his vision. 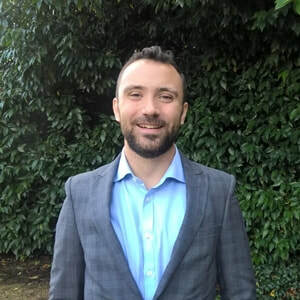 Jonathan’s first experience of China was at a summer school in 2011, and he enjoyed it so much that he returned the next year to study a masters in International Relations at Peking University. After graduating, he worked at a market research consultancy in Beijing and, upon return to the UK, has built a track record in assisting companies enter the China market. China’s manufacturing sector has shifted from making low-value items, to globally competitive and innovative products. Priority sectors named in the ‘Made in China: 2025’ policy will attract special interest: rail; agritech; aerospace and aviation; biopharmaceuticals and medical equipment; power equipment and technology; high-tech manufacturing and robotics; integrated circuits and information technology; marine; new and advanced materials; automotive. Shenzhen: One of most innovative cities in world. Most important city in Pearl River Delta economic region. Changsha: Capital of Hunan province, and focal point of ChangZhuTan city cluster. Complete the signup form and a member of MIC will be in touch to get your journey to China underway.